1. I don't try to boss you around by telling you "how to" do anything. 2. You don't have to feel bad because you pinned something you never made. 3. I'm not trying to sell you something. 4. You'll never be the topic of a blog because I make fun of myself and my family. 5. It's simple..I aim to entertain you with words in a story. 6. My handicap is not "catching" or won't rub off on you! 7. You don't have to remember to tell someone "Happy Birthday" every day. 8. Your comments are not limited to 140 characters. 9. I'm not debating the election! 10. I'm not partial to any college football team. Are you smiling? 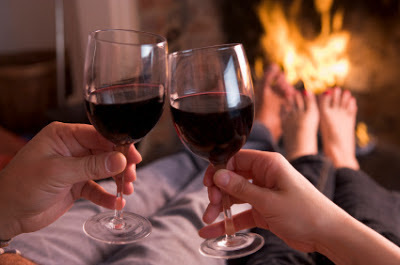 Feeling warm all over (I know if you're drinking wine you are)? Stop pinning your twitter to Face book! lol Opt for some humor and lightheartedness instead. If you got a minute, tell your friends and family about The Happy Handicap! Tell me what gets in your craw. Leave me a comment!